In Timbs v. Indiana, after Tyson Timbs pled guilty to drug charges, the State of Indiana civilly forfeited his vehicle on the theory that he used the vehicle to transport drugs. A state trial court ruled that forfeiture of the $42,000 vehicle for the crime of selling less than $400 worth of drugs was “grossly disproportionate” to his wrongdoing and would violate the Eighth Amendment’s ban on excessive fines. The Indiana Supreme Court reversed, holding that the Eighth Amendment’s Excessive Fines Clause did not even apply to the states. On November 28, 2018, the Supreme Court will hear argument on whether the Eighth Amendment’s prohibition against excessive fines applies to states, just as it has applied to the federal government since 1791. Darpana Sheth, Senior Attorney with the Institute for Justice, which represents Tyson Timbs, and Director of IJ’s National Initiative to End Forfeiture Abuse, will discuss the oral arguments in this teleforum. Operator: Welcome to The Federalist Society's Practice Group Podcast. The following podcast, hosted by The Federalist Society's Criminal Law & Procedure Practice Group, was recorded on Wednesday, November 28, 2018 during a live teleforum conference call held exclusively for Federalist Society members. 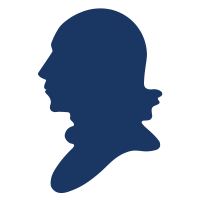 Wesley Hodges: Welcome to The Federalist Society's teleforum conference call. This afternoon's topic is a Courthouse Steps oral argument discussion on Timbs v. Indiana. My name is Wesley Hodges, and I'm the Associate Director of Practice Groups at The Federalist Society. As always, please note that all expressions of opinion are those of the expert on today's call. Today we are very fortunate to have with us Darpana Sheth, who is a Senior Attorney with the Institute for Justice, which represents Tyson Timbs. And she is Director of IJ’s National Initiative to End Forfeiture Abuse. After our speaker gives her remarks today, we will move to an audience Q&A, so please keep in mind what questions you have for our speaker today or for the case in general. Thank you for sharing with us today. Darpana, the floor is yours. Darpana Sheth: Thank you so much for having me. So the case is Tyson Timbs v. State of Indiana, and the issue before the Court is "Can a state impose any fine no matter how excessive?" So for constitutional scholars out there most familiar with the Eighth Amendment, the Eighth Amendment has a prohibition against excessive fines, which has, of course, applied to the federal government since 1791. And the question before the Supreme Court is whether that prohibition also applies to the state. Now most people would've thought, "Of course it does. 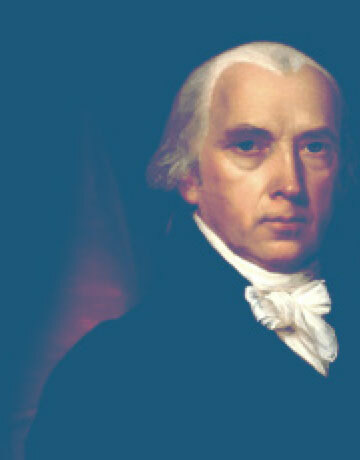 There's a doctrine of incorporation and most of our Bill of Rights have been incorporated against the states." But this was one cause which the Supreme Court had not expressly held that the prohibition against excessive fines was incorporated against the states, or therefore applied to the states. And so really the case is kind of a matter of constitutional housekeeping. Involved is our client, Tyson Timbs. He pled guilty to selling less than $400 worth of drugs. And the state trial court found that requiring Timbs to forfeit his vehicle, which was valued at $42,000, would be grossly disproportionate to his wrongdoing and would violate the Eighth Amendment's ban on excessive fines. The Indiana Supreme Court, however, reversed. Its non-interest in merits simply held that the Eighth Amendment's prohibition against excessive fines does not apply to the states or to the local governments either. And so by implication, basically, Indiana, or a state, can impose any fine, no matter how excessive or disproportionate to the offense. In the case, Tyson Timbs, proscribed opioids initially for foot pain, and in an unfortunate, all-too-familiar tale these days an opioid addiction, Timbs had turned to heroin when his prescription ran out. Eventually, he was arrested during a drug sting, and he pleaded guilty and was sentenced to six years, one in home detention living with his aunt, and then five years on probation, including a court supervised addiction treatment program. The court also imposed more than $1,200 in criminal court costs and fees. But going beyond this criminal prosecution, state prosecutors sought to civilly forfeit his vehicle. Now, the government's theory was that the vehicle was used to transport drugs. So there was no question that the vehicle was bought legally. It was purchased with legal proceeds from a life insurance policy after his father's death. But prosecutors sought to take the vehicle because Timbs had driven it to transport drugs. And the Justices today kind of zeroed in on that in terms of well, what if it was an employee's $2,000 vehicle? What if it was a lot cheaper, older Kia? Or what if it was a more expensive Bugatti? And so that was very much an issue today, sort of the excessiveness of the fine, or of the forfeiture, and how that excessiveness determination is calculated, what factors go into that. But at today's oral argument, I think we're very optimistic that a majority of the Justices thought that the Excessive Fines Clause itself certainly applies to the states and to local government. And perhaps most tellingly, Justice Gorsuch, about just less than a sentence into argument from the Solicitor General of Indiana, said -- stopped him right there, interrupted him, and asked, "Well, we can all agree that the Excessive Fines Clause is incorporated against the states. Isn't that correct?" And there was some back and forth, but Justice Gorsuch continued and questioned that, "And here we are in 2018," are we "still litigating [the] incorporation of the Bill of Rights. Really?" And I think that was a really telling moment of today on which way is going to rule. On the side of the states, the Solicitor General, their main position is that it's in rem forfeiture. So these civil forfeitures, which are based on legal conviction that property itself is guilty, and, consequentially, these actions are brought against property, not a person, that those somehow do not qualify as fines, that they are not punitive in some methods, and therefore the real issue before the Court is not whether the Excessive Fines Clause applies to the states, but whether there is a right to be free from excessive in rem forfeiture that applies to the states. And I think it's a fair reading of the Justices today that they rejected that kind of analysis, that that is not what we have done historically in analyzing the Bill of Rights, and whether those rights apply to states. That there's first the question of whether right is incorporated. And, secondly, there's the definition of that right, or the scope of that right. And so whether the Excessive Fines Clause itself is incorporated against the state, given the majority of the Justices agree, and there might be some tension about whether the specific -- whether an in rem forfeiture—so a forfeiture against property—qualifies as a fine. But most importantly, the Supreme Court unanimously about 25 years ago held that forfeitures, like the ones at issue today, are, in fact, violated. There's a big distinction between historical civil forfeitures that were brought against property using a ship or customs violations under admiralty law. And today's modern in rem forfeitures -- back then it was a tool to obtain jurisdiction over property because the wrongdoer and the commission of the crime was overseas or there was no personal jurisdiction. Whereas, in contrast today most civil forfeitures are done out of -- or pursued against property owner where the property owner is under the jurisdiction of the court. And, crucially, here in Indiana, the statute itself recognizes that the forfeiture is, in part, a punitive measure, and therefore because it's at least partially punitive, the Excessive Fines Clause should apply because it's part and parcel of the entire Eighth Amendment, which its purpose is to curb excessive punishment from. So there's three different clauses of the amendment. You have the Excessive Fines Clause. You have the prohibition against excessive bail. And then, of course, your Cruel and Unusual Punishment Clause for bail and cruel and unusual punishment. And all three the Supreme Court has held, at least on five other occasions, that the Eighth Amendment applies to the states. And so really this case boils down to a little bit of constitutional housekeeping to clarify that the Excessive Fines Clause also applies to the states. There was also an interesting exchange today at oral argument where Justice Breyer asked whether, given the Solicitor General's opinion, that in rem forfeitures, or forfeitures brought directly against the property -- civil forfeitures if they are not excessive fines or they can never be excessive fines, whether a state would be allowed to forfeit a car simply for a speeding violation, even if the car was only going five miles above the speed limit. And the Solicitor General responded in the affirmative saying, yes, that that could happen. And it seems like the majority of the Justices do not agree with that approach. So we are cautiously optimistic. And the significance of this case is that it goes beyond just forfeitures. Increasingly, states and localities are using fines, fees, and forfeitures to essentially fund the criminal justice system. And there've been a number of amici in support of Timbs that showed -- that really lay out the statistics of how increasingly the government is using fines and fees and forfeitures to fund criminal justice. And because of that, the power of the government to impose fines could be viewed more skeptically because unlike terms of imprisonment or other forms of punishment, the government benefit from fines, fees, and forfeitures. They are revenue generating mechanisms as opposed to forms of punishment that costs the government money. And so a favorable ruling in this case would go a long way towards limiting state power to impose excessive fines, fees, and forfeitures. So I think, as I said, we're cautiously optimistic about a favorable ruling, and we look forward to getting a decision from the Court. Wesley Hodges: Thank you very much, Darpana, for your remarks. While we wait for any questions from the audience, Darpana I know you've touched on this, but could you spell out a little bit more for us what way you think this case will go and your reasoning there? Darpana Sheth: Yeah, I think on the issue of whether the Eighth Amendment's prohibition against excessive fines applies to the states with a majority -- certainly a majority of the Justices seemed to agree with that today. There might be some tension or questions about whether the forfeiture, particularly in this case, was excessive or not. But that's a decision the Court kind of dropped on remand. And, of course, it's important to note that the state trial court looked at that, answered that [inaudible 11:50] question and ruled that here, requiring Timbs to forfeit a $42,000 vehicle when he sold less than $400 worth of drugs and where the maximum fine was only $10,000 would be grossly disproportionate, and therefore violate the Eighth Amendment. Wesley Hodges: Thank you so much. It looks like we do have two questions in the queue, Darpana. Let's go ahead and move to our first caller. Caller 1: Good afternoon. I’m just curious if you are successful in this case and get the ruling that you are expecting, what's your next step in the process of dealing with forfeitures? Darpana Sheth: Well, yeah, that's a great question. We're hoping that this is just the first in a series of cases that the Supreme Court will take up to really examine the constitutionality of civil forfeiture itself. Recently, Justice Thomas had questioned whether modern civil forfeiture statures can really be squared with the Due Process Clause or our nation's history, and kind of focused in on this distinction between the way civil forfeiture was practiced back at the time of our Founding and the very limited justification and scope of civil forfeiture at that time compared to today's exponential kind of expansion, where there is this very direct financial incentive that law enforcement has in pursuing forfeiture. It's on a lot of law enforcement's budget, and that kind of direct financial incentive really poses a due process problem. So there're a number of other constitutional issues with civil forfeiture far beyond just whether a particular forfeitures can be excessive. And we're hoping the Supreme Court can take a look at those issues closely, and we're bringing those cases in the lower courts today and hoping they move up pretty quickly. Wesley Hodges: Thank you very much, caller. We do have one more question in the queue. Let's go ahead and move to our second caller. Caller 2: Yes, thank you. Two elements seem to be important to me. One has to do with what the Indiana constitution may say with respect to forfeiture, whether or not it intrudes on a decision that the Supreme Court may be facing. And the other thing that I find puzzling, the Eighth Amendment is one sentence long and includes the issue having to do with cruel and unusual punishments, which clearly apply to the states. And yet, a second part of that same sentence might not [apply] strikes me as being unusual. Darpana Sheth: I'm sorry, I missed the second part of your question. The Eighth Amendment does have three separate provisions, guarantees. One is the guarantee that excessive bail shall not be required. The second is that excessive fines shall not be imposed. And the last one is that there shall be no cruel and unusual punishment. And so the Supreme Court has already held that the Excessive Bail and the Cruel and Unusual Punishment Clauses apply to the states. And they have decided in at least five other cases that the excessive fines also applies to the states. But in this case, it's basically clarifying that holding that the Eighth Amendment guarantees that excessive fines should not be imposed and that is not just applicable to the federal government but also to the state governments. Does that answer the second question? Caller 2: Well, you seem to be saying that even though there are three elements dealt with in that one sentence that they seem to feel free to separate them with regard to interpretation. Darpana Sheth: Oh, I understand. Right. And so I think there's a different analysis for each constitutional amendment. So, for example, the Fourth Amendment does not just embody one right. There are several rights at issue that the Fourth Amendment protects. And so the Supreme Court has analyzed those rights separately in separate cases. Here in this case, the right at issue is the right to be free from excessive fines. And what the State of Indiana's position is, "No, we need to thin slice that even further. It's not just the right to be free from excessive fines; it's the right to be free from excessive civil forfeitures," which is, as the Supreme Court has unanimously ruled before, forfeitures qualify as a fine. And so that is the part that the Institute for Justice has strongly disagreed with, and I think the majority of the Justices did not find that convincing. Justice Kagan today explained that she wasn't really sure -- the history of incorporation and looking at the right at issue, and whether it's the Second Amendment right to bear arms or the right to free speech in the First Amendment, we don't thin slice it and say, "Well, no, there's a right to political speech or a right to commercial speech; we look at the right to free speech." And so that just incorporates the First Amendment in total. You look at the specific clause. So the First Amendment has five other rights as well – five rights that are protected. So it's a matter of selectively incorporating each right at issue. Wesley Hodges: Thank you very much, caller. It looks like we do have another question. Let's go ahead and move to that caller. Kent Huntington: Good afternoon. Kent Huntington, Huntington Solutions. I have a question, which actually springs not from this -- well, part of this appeal. But your biography notes that the Eighth Amendment comes into action in 1791, and I was wondering if you could give us some historical context about its underpinnings from 1776 to 1791. And, indeed, anything prior to that, including the British law, which we were operating under until 1776. And it's just an open question of historical context that's of interest to me and some others. Darpana Sheth: Sure. So I will direct you to our merits brief that'll have all of the specifics. And you can find that on our website, IJ.org, under Timbs v. Indiana. But the short answer is that one of the things that the Court looks at in deciding whether a specific right in the Bill of Rights applies to the states is whether it's been deeply rooted in our nation's history and whether it's fundamental. And our merits brief in this case has gone through the history of both the Eighth Amendment, the Excessive Fines Clause, as well as the 14th Amendment, and shown that over time, dating all the way back to the 14th century, there was a historical protection against excessive fines, whether that was from -- against the king. People went hunting in the King's forest, and then they were fined for over hunting, I guess, in some way or hunting animal illegally in the King's forest. Today it's not, or even at the time the 14th Amendment was adopted. And so our brief goes through all of that history, including the Magna Carta, and its various protections. And so that's deeply rooted because ultimately, as I mentioned earlier, that the power to fine is a unique kind of power that the sovereign has that could easily subjected to abuse because unlike other forms of punishment, it generates revenue for the government as opposed to costing the government money. Kent Huntington: Excellent. I guess my follow up would be how is this interplay -- the Eighth Amendment rights with the historical roots in our country's founding and prohibitions against bills of attainder, ex post facto laws, and what we're seeing today in the abuses of the administrative state, and what you're doing, finally, at IJ to push back on this in the broader context apart from the Eighth Amendment. Thank you. Darpana Sheth: Sure. So as I mentioned earlier, we're hoping that this case is just one in a series of cases that the Supreme Court will take on to address the inherent unconstitutionality of civil forfeiture. No one in America should lose their property without being convicted of a crime. And civil forfeiture has a number of due process problems. There's a lack of an innocent owner defense in some cases, even when states have an innocent owner defense that puts the burden on property owners to affirmatively prove their innocence, which is a due process problem that the Supreme Court identified in a separate case called Nelson v. Colorado involving the return of fines assessed against criminal defendants when the conditions have been overturned. And, of course, there is the direct financial incentives that police and prosecutors have in bringing civil forfeitures. And that poses a due process problem as well. And so we're hoping that the Supreme Court will directly take on a case that directly challenges the constitutionality of civil forfeiture, not just the Eighth Amendment limitations that governments have in using forfeiture. Kent Huntington: Thank you so much. Wesley Hodges: Thank you, caller. Seeing no immediate questions, Darpana, I turn the mic back to you. Do you have any closing thoughts for us today? Darpana Sheth: Yeah. So we're excited to -- when we get a decision, and like I said, the significance of this case goes beyond just civil forfeitures because, increasingly, states and localities are using fines and fees and other mechanisms to excess money from the citizens in order to fund itself. And this will be an important limitation against state government powers to do so. Wesley Hodges: Well, thank you so much Darpana. It does look like we do have an audience member that slipped in with a question. Let's get to theirs before we close today. Let's go ahead and move to another caller. Mark Allen: Hi, this is Mark Allen, Trinity Law School. I have a quick question for you. Do you have any idea what to do about the situation that I see all the time, which is the sheriff's office goes in, they empty people's cars out, and then they just refuse to give the stuff back. There's no civil forfeiture action. There's no court action. They simply just don’t give it back. And most of these things are small, way less than $1,000. Timbs's case, I think, was like $42,000. So that makes it worthwhile for somebody to go after. But what do we do about all of these little thefts that police departments and sheriff's departments are doing? Darpana Sheth: Yeah, that's an excellent point because the economics of it make it irrational for property owners offsite to get their property back because in civil proceedings, even when a forfeiture is often filed to become a civil proceeding, they're not guaranteed counsel. And so they have to pay attorneys and navigate the business in a complicated system of trying to get their property back, which most people make the rational decision that it's not worth doing because hiring an attorney is going to cost way more than the property value itself. That is something that IJ is challenging directly that because civil forfeiture kind of shifts these burdens and stacks the deck against property owners by shifting the burden of proof around, that's why it's unconstitutional. At the federal level, there is one avenue called the motion for return of property and most state and localities have something similar at 41(g) in the Federal Rules of Criminal Procedure, that any person who has been aggrieved by a seizure can file a motion for return of property. But, again, that involves hiring an attorney and trying to file one of these motions to get the property back. And so the solution is to go through the courts and try to show the unconstitutionality of civil forfeiture, and also by going to our legislative bodies and reforming civil forfeiture. Since 2014, 29 states and the District of Columbia have reformed their forfeiture laws to try to make these burdens a little less harsh. Wesley Hodges: Seeing that the queue is now empty, Darpana, we appreciate the remarks you've given. Any closing thoughts before we end? Darpana Sheth: Yeah, thank you so much for having me. And, again, a favorable ruling here will really protect millions of Americans from abusive fines, fees, and forfeitures. So we look forward to the Court's decision. Wesley Hodges: Wonderful. Well, on behalf of The Federalist Society, I'd like to thank you for the benefit of your valuable time and expertise today. We're very grateful that we could host you. We welcome all listener feedback by email at info@fedsoc.org. Thank you all for joining. This call is now adjourned. Operator: Thank you for listening. We hope you enjoyed this practice group podcast. For materials related to this podcast and other Federalist Society multimedia, please visit The Federalist Society's website at fedsoc.org/multimedia.